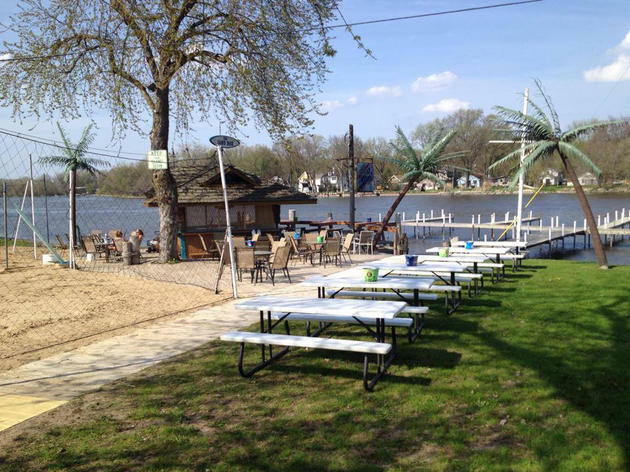 If you’re after a Northwoods vibe without the long drive, Kief’s Reef in Cook County’s neighbor to the northwest, McHenry, is a solid bet. 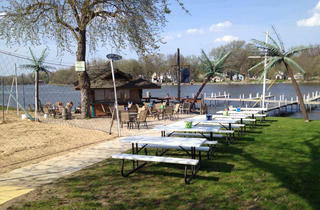 The bar/restaurant’s outdoor dining area, which fronts the Fox River, features a kitschy tiki bar, a dock for boat-up access, and a small beach, along with views of passing speed boats towing hot-dogging water skiers. A large daily menu includes super-casual pub-grub fare like burgers and wraps, though the big draw for many locals is the Friday night fish fry.